Folks concerned about wild salmon in North Kitsap are celebrating the Legislature’s funding of $2.8 million for the long-awaited bridge at the mouth of Carpenter Creek near Kingston. The project has been on and off for a decade, as I explained in story I wrote for the Kitsap Sun in December. The lobbying effort by bridge supporters, including the Kitsap County commissioners, was intense. That and continued support from Kitsap’s legislators are credited with getting the bridge funded. It seems unlikely that bids for the bridge project can be advertised and contracts approved in time for this summer’s construction season, given the need to work around salmon migration. But we’ll wait and see how things are scheduled. Leaders of the state’s environmental groups were disappointed that the Legislature failed to raise a tax on toxic chemicals, which would have set aside $100 million a year for stormwater projects. Addressing stormwater is considered the top priority for improving the water quality of Puget Sound and other waterways. Using federal economic stimulus money, the National Oceanic and Atmospheric Administration has allocated $4.5 million to the removal of derelict fishing gear in Puget Sound. This project and several other stream and estuary restoration projects in Puget Sound are part of an allocation of $167 million nationwide for marine and coastal habitats. See NOAA’s news release for a description of all 50 projects approved under the American Recovery and Reinvestment Act. 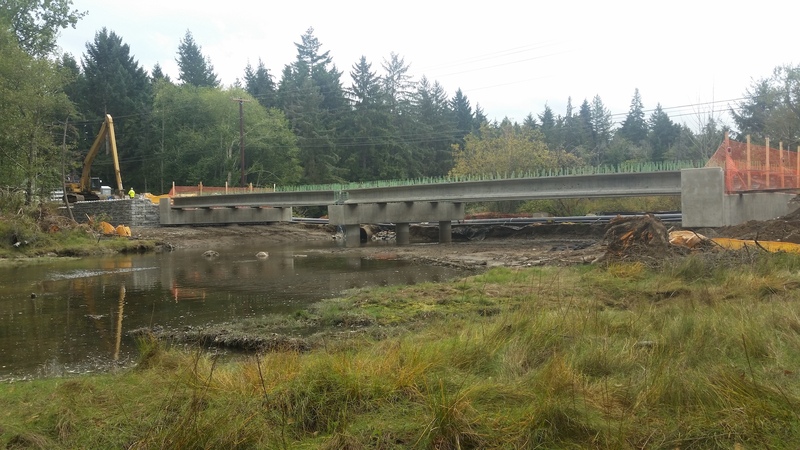 Kitsap County did not receive money for a new bridge at the Carpenter Creek estuary nor for the next phase of the Chico Creek restoration at Kitsap Golf and Country Club. These were the submissions that came out of this county. Officials held high hopes for approval, since the projects were endorsed by the Puget Sound Partnership and the Governor’s Office — but so were a lot of other projects. As it turns out, Washington state will be provided 10 percent of the total nationwide funding, which leaves little room for complaint. “The stimulus funds announced today by NOAA are a great win for Washington’s salmon recovery and Puget Sound restoration efforts,” Gov. Chris Gregoire stated in a news release. Disappointed Kitsap County officials are regrouping to find another way and other funding to move the two restoration projects forward. See my story slated for tomorrow’s Kitsap Sun. Carpenter Creek has been on one or more priority lists for years, but the project never seems to get done. In any given year, either the federal dollars aren’t available or the state match can’t be found, or both. 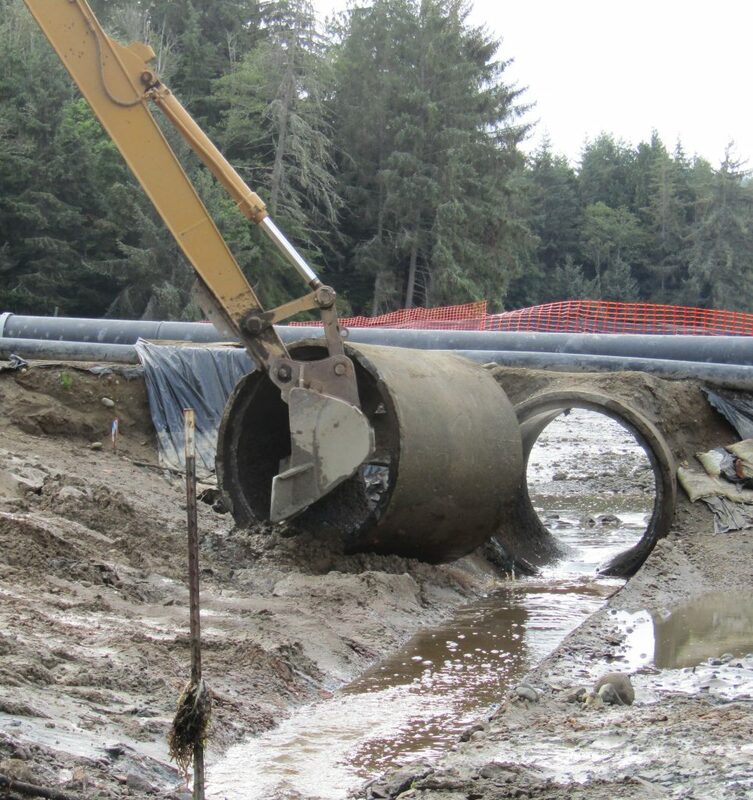 I can only remind supporters that a new culvert for Barker Creek in Central Kitsap went through some of the same gyrations before getting built a year ago. 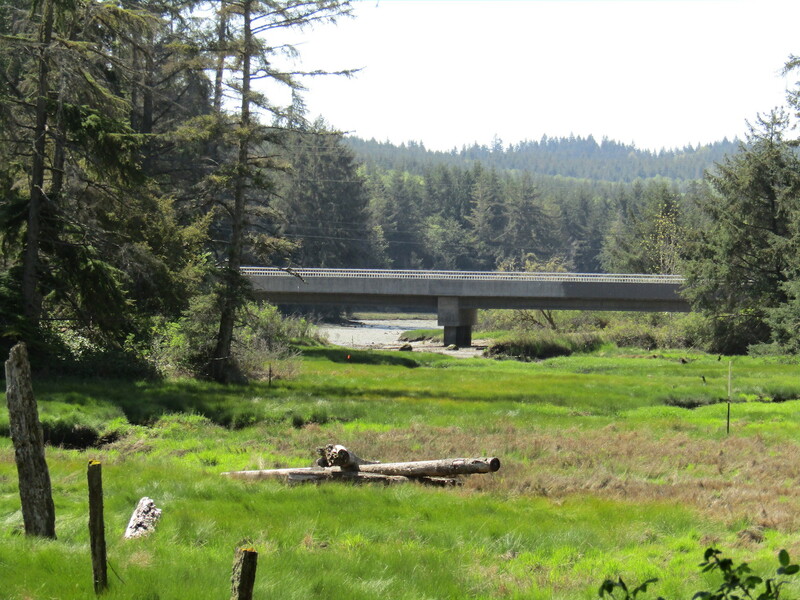 Elwha River Floodplain Restoration, Port Angeles, $2 million. In conjunction with the Elwha Dam removal, this project will restore 82 acres of the floodplain of the lower Elwha River through the removal of dikes and culverts, revegetation and invasive species control. Removal of Derelict Fishing Gear in Puget Sound, $4.5 million. This program will remove more than 200 metric tons of marine debris, including more than 3,000 nets. It includes the restoration of 600 acres of habitat. Smuggler’s Slough, Nooksack River Restoration, Bellingham, $1.7 million. The project will raise a roadway, reconnect tidal connections and restore eelgrass habitat over 493 acres of Smuggler’s Slough in Lummi Bay. Seven miles of slough habitat also will be opened. Qwuloolt Estuary Restoration, Marysville, $2 million. This effort will restore 350 acres of wetland and 16 stream miles to allow the passage of several species of salmon on the lower Snohomish River and its surrounding tidal floodplain. Included are the removal of levees, new channel excavation and planting of vegetation. Fisher Slough Marsh Restoration, Burlington, $5.2 million. The project will restore 60 acres of the Skagit River floodplain by replacing antiquated agricultural floodgates and restoring 15 miles of high-quality habitat for chum, coho, chinook and other species. Hansen Creek Floodplain Restoration, Milltown, $988,000. Included in this project are an excavation to reconnect 140 acres of forested floodplain habitat with the addition of woody debris for chum, coho, chinook and other species. Three months ago, I reported how funding problems were threatening three important salmon-restoration projects in Kitsap County. They involved Barker Creek and Chico Creek, both in Central Kitsap, and Carpenter Creek in North Kitsap. See May 27 Kitsap Sun. Now, I am able to report good news on all three fronts. 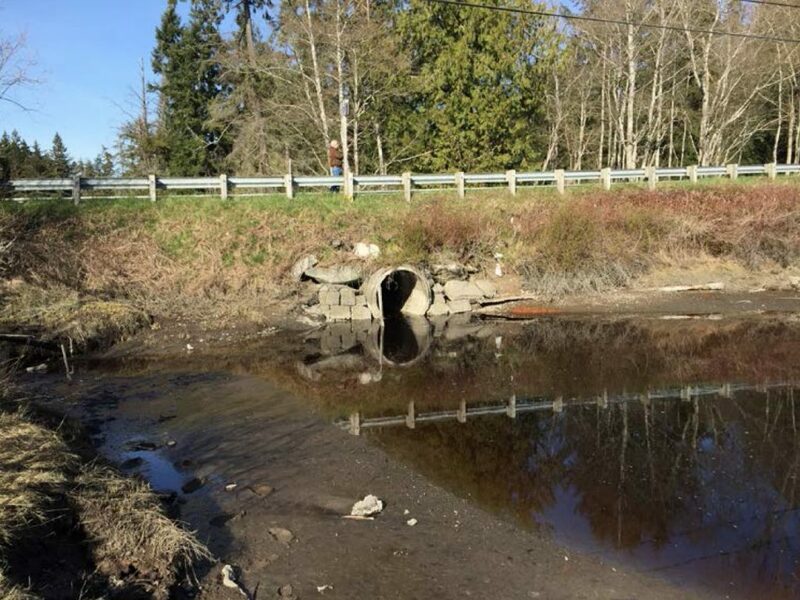 Final pieces of the funding puzzle for the Barker Creek project were fitted into place recently, and replacement of the culvert under Tracyton Boulevard will begin next week. Timing could be better, as you can read in a story in today’s Kitsap Sun, but officials say they will do their best to protect nearby waters during construction. If the $1 million project does not get started now, funding will be lost, officials say. A stream-restoration project on Chico Creek, where it flows through Kitsap Golf and Country Club, got under way recently. See last week’s story. The project involves carving a new meandering channel in some places and widening the existing channel in other places. The original funding was not enough to redo the entire channel through the golf course, so the project was broken into two parts to use the existing funding. The remaining channel work is expected in 2010. An ongoing concern is the culvert under Golf Club Road. It is now considered a third phase of the project, and a feasibility study will determine whether the culvert should be removed or whether a cheaper option will work. Finally, funding for the Carpenter Creek bridge over the saltwater estuary near Kingston remains a bit on edge, as I described in the May 27 piece. State funding is finally in place, but the matching federal funding has become a bit shaky. The good news is that all three versions of the federal budget — the president’s, the House’s and the Senate’s — list the Carpenter Creek project by name, which means that it is less likely to get lost in the scramble to allocate money to the Army Corps of Engineers. “It looks very promising,” Naomi Maasberg of Cutthroats of Carpenter Creek told me this morning. “Things can still happen,” she noted. But, as things look now, construction can be expected next summer.